↑ Martin, Bradley K. (2004). Under the Loving Care of the Fatherly Leader, New York: St. Martin's Press. আইএসবিএন ০-৩১২-৩২২২১-৬. 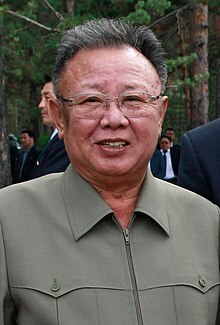 ↑ Kim Jong Il – Short Biography. ওয়েব্যাক মেশিনে আর্কাইভকৃত ১২ জুন ২০০৮ তারিখে Pyongyang: Foreign Languages Press, 1998, p. 4.